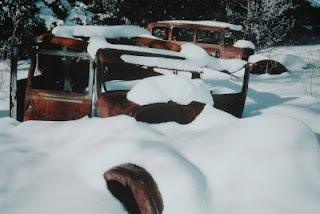 "Snow Mobiles" by Lou Lafrado. 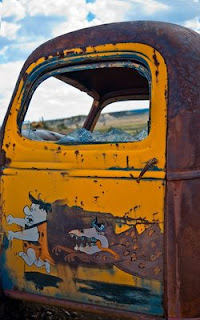 "80's Flintstone on a '46 Chevy" by Linda Laitner. 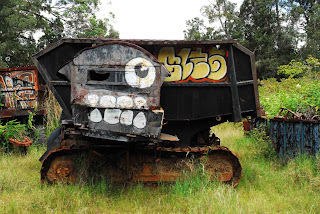 "One-Eyed Thing" by Paula Scott. "New Mexico Reflections" by Nina Baldwin. 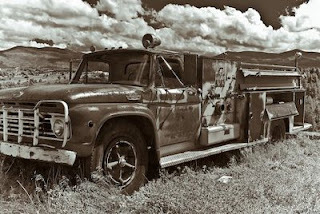 "Truchas Fire Engine" by Alan Mitchell. 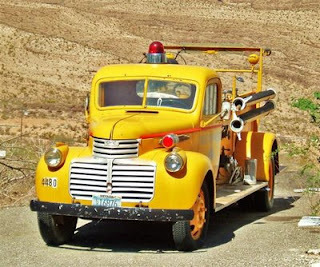 "A Little Work and I'm Good to Go" by Bob Crowley. 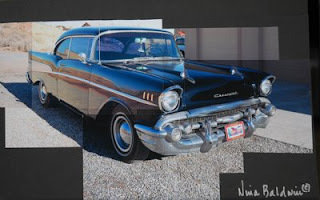 "1947 Woody" by Deborah Newman. "Winter Sale" by Gordon Vanus. 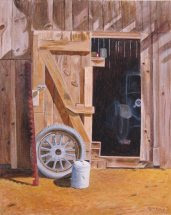 "In Storage" by Marilyn Meuret. 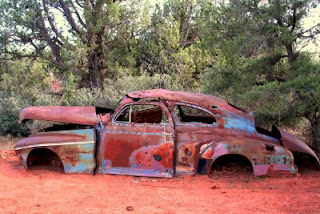 "1942 GMC" by Sue Hanauer. 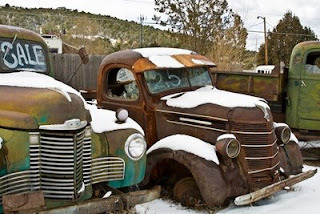 "Driving New Mexico Stlye" by Donna Barnitz. 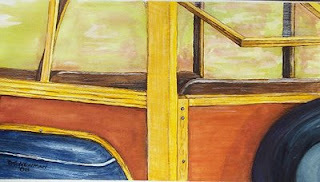 This exhibit of "Old Vehicles" will hang at the Esther Bone Library from August 7th-Oct. 2nd, 2008. 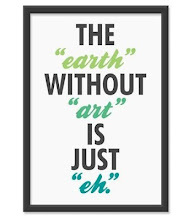 I hope you get a chance to come by and see the exhibit!